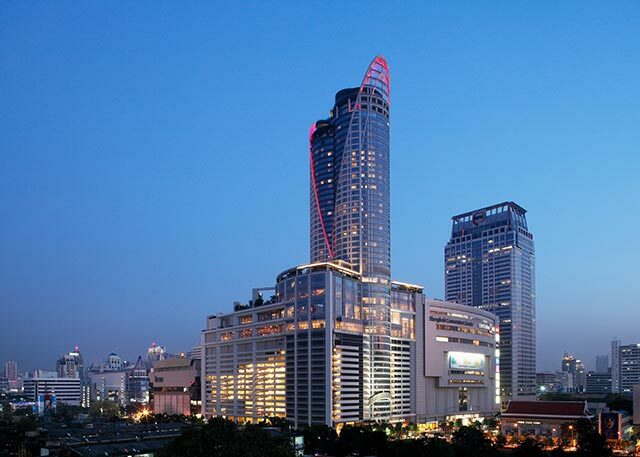 Centara Grand & Bangkok Convention Centre at CentralWorld is in the very heart of Bangkok’s shopping and business district, with easy access by road and via the BTS Skytrain. This five-star hotel, the flagship of Centara Hotels & Resorts, is therefore ideal for those shopping, sightseeing, or on business. At 55 storeys the hotel offers spectacular city views from its guestrooms and restaurants, and provides a satisfying blend of city living with resort-style facilities. A complete lifestyles complex on the 26th floor includes the award-winning SPA Cenvaree along with a fitness centre, tennis courts and an outdoor pool with sundeck.